Helena Wayne Huntress: More Rebirth Theories: How Can Convergence Be Used To Rebirth Everyone? More Rebirth Theories: How Can Convergence Be Used To Rebirth Everyone? What's interesting is that we've already seen many of these characters reinstated during DC's Convergence event that salvaged them from the very events that either led to their demise, their erasure from DC continuity, or both. Four of those characters that were reinstated in Convergence have already returned to the DC Universe in Rebirth such as the original Wally West, Cassandra Cain, and more recently, the original Jay Garrick Flash and the Flashpoint Thomas Wayne as Batman. 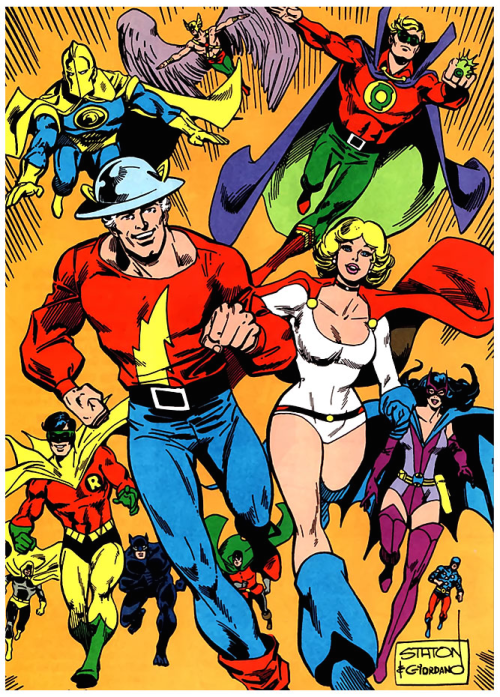 Convergence ended with Superman, Parallax, Flash, and Supergirl preventing the events of Crisis on Infinite Earths, effectively preventing the various casualties from that event. The post-Crisis universe still exists, complete with the bits and pieces it inherited from other Earths in the multiverse such as the original Earth-1, Earth-2, Earth-4, and Earth-S.
Convergence also established that the salvaged multiple Earths themselves "evolved." Watchmen's Dr. Manhattan is linked to the creation and/or manipulation of the current DC Universe. 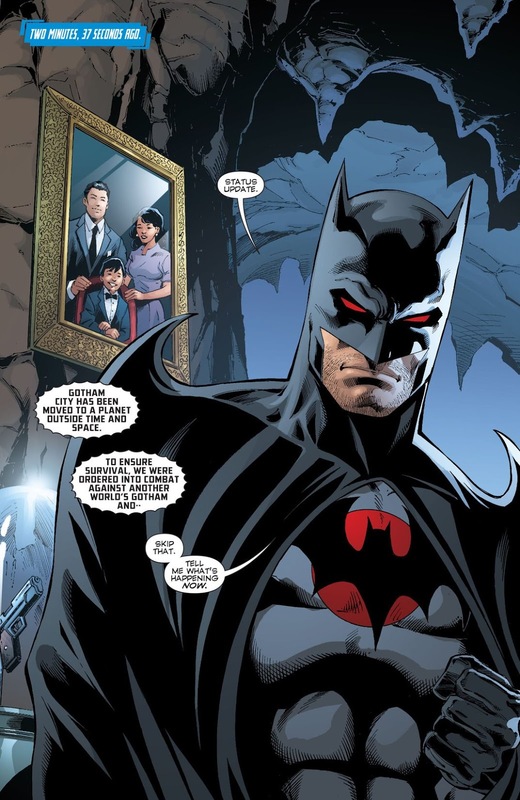 Doppelgängers of DC characters are popping up randomly in the Rebirth Universe such as the original Golden Age Earth-2 Joker, the post-Crisis Joker, the "new" Clark Kent who is now being hinted at as being Superboy-Prime, and now the Flashpoint Thomas Wayne. Geoff Johns is clear that Rebirth is NOT a reboot, but an opportunity to reinstate old continuity back into the current mainstream continuity. So how does all of this fit together, especially if Crisis on Infinite Earths was undone, yet the post-Crisis universe still exists? I have one theory at the moment that makes the most sense to me, and that is the possibility that current DC Earth is a composite Earth created with the various cities that were placed on Telos for the events of Convergence and this new Earth was simply modified so that only one version of each of these cities exist. That would at least explain why the post-Crisis Earth still exists, complete with aspects of DC's alternate Earths and alternate timelines that make it up. ALL of DC's past timelines were collected and placed on Telos, including pre-Crisis, pre-Zero Hour, pre-Flashpoint, and even Flashpoint itself. It would also explain why multiple doppelgängers of DC characters are suddenly surfacing on this new Earth. Maybe Dr. Manhattan isn't actually done creating this world and maybe the final act of Rebirth is polishing up this new Earth so that only one version of each character exists, with maybe some exceptions. Considering that Convergence took place outside of spacetime, it's not a far-fetched theory when you consider Dr. Manhattan's character. As established in the original Watchmen graphic novel he appeared in, Dr. Manhattan perceives time very differently from everyone else. 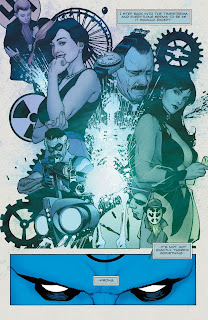 As a human being that was brought back to life with god-like abilities following a lab accident, Dr. Manhattan has the ability to perceive past, present, and future timelines simultaneously and he can especially manipulate matter and turn it into anything he wants. He can also travel through space and live on any planet he wants as his body is no longer dependent on physical needs such as food, oxygen, and water. The conclusion of Watchmen even establishes that he has the ability to create new worlds. The story even ends with him departing his respective Earth to do exactly that. Taking into account that Brainiac collected various cities from various DC timelines and multiverse, placed them outside of spacetime, then sent them all back in transit to their original Earths at the conclusion of Convergence instead of just undoing the events of Convergence, these cities floating around outside of spacetime would easily provide Dr. Manhattan with the tools he needs to create a whole new Earth, and with it, a whole new universe. With the original Earths themselves now missing cities and some of their own residents due to Dr. Manhattan grabbing them in transit, it is possible that he also caused these Earths to "evolve" at the end of Convergence, by replacing the cities and residents they lost with copies of them. If the classic Justice Society is now existing on the Earth he created, he probably created the New 52 versions now occupying the world of Earth-2 (complete with a new Metropolis) in compensation. That would explain the existence of both the classic Alan Scott and his New 52 counterpart as separate characters. The same would be true of Classic Jay Garrick and his New 52 counterpart, and yes, even possibly the Classic versions of Helena Wayne and Kara Zor-L and their New 52 counterparts. It would also explain why these New 52 versions are also so radically different from the pre-Crisis originals in almost every respect except for a remixed version of their classic origins. But wait? Weren't those New 52 Earth-2 characters also present on Telos for Convergence? Yes, they were. Well, then, how can those characters technically exist for events before Dr. Manhattan creates them? Well, that kind of brings me to my next point: Dr. Manhattan is a quantum physicist, and one of the major theories of quantum physics is that space and time occur in one single continuum known as spacetime regardless of the observer. This is part of Einstein's Theory of Special Relativity which posits that the laws of physics and the speed of light remain the same regardless of the speed of the travelling observer. So while different observers perceive time differently, spacetime and the speed of light actually remain constant. Putting that idea into context, we the comic book readers experience time as past, present, and future. From our observation, the pre-Crisis continuity came first and this timeline ended with Crisis on Infinite Earths, resulting in the birth of a whole new continuity known as the post-Crisis DC Universe. As such, the post-Crisis continuity is seen as the successor of the pre-Crisis continuity. Then Flashpoint ended the post-Crisis timeline resulting in the birth of the New 52 DC Universe. The New 52 continuity is therefore seen as the successor of the post-Crisis continuity. Then Convergence mediated the New 52 and Rebirth continuities with the latter now serving as the present DC Universe with aspects of past continuities making their way back into the future of the Rebirth Universe. Our observation is therefore perceived as linear and forwards in motion. Dr. Manhattan by contrast perceives time as non-linear since the past, present, and future all happen simultaneously and in no specific order. This perspective is explicitly explored in the Watchmen graphic novel by Alan Moore and Dave Gibbons and this idea is literally put into practice in Convergence where all of the past, present, and future DC timelines are found existing together in a single place outside of spacetime with no visible changes to the characters. They all look exactly as they did from when we last saw them. From this perspective, the pre-Crisis, post-Crisis, New 52, and Rebirth continuities all exist at the same time, even if they are perceived as occurring at different times to different observers, in this case, comic book readers and even the DC Comics characters themselves. 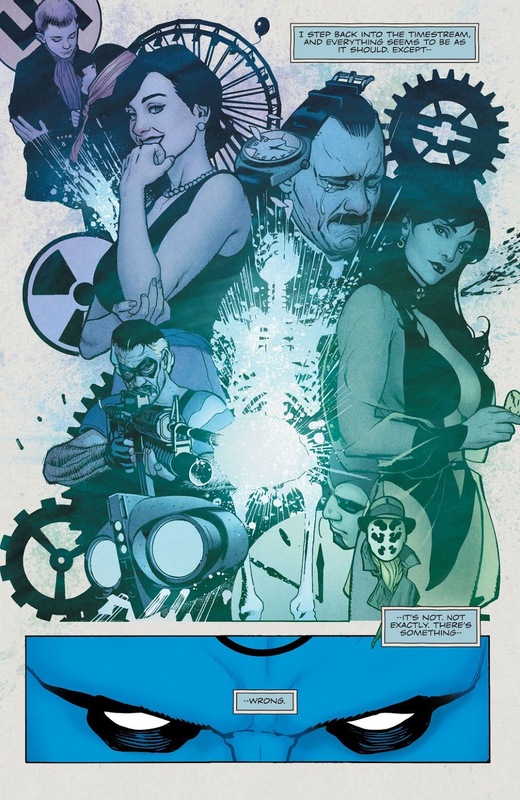 So while we perceive the chain of events that is the DC continuity as linear and forwards moving, Dr. Manhattan does not, and that is exactly the point made by Moore and most likely the detail that will be at the heart and centre of Rebirth. As such, the order of events is completely irrelevant, but all DC Comics characters and all aspects of DC history will be coming back in one single DC continuity. What, then, can we expect to see happen in Rebirth moving forward? At this point, pretty much anything and everything. If Geoff Johns is about embracing ALL of DC history and not just bits and pieces of it, there is no reason to believe that we won't see any of our favourite characters again, including ones we don't expect to see again like Ching Lung or Superboy-Prime. If Geoff Johns is determined to put ALL of the pieces back on the board as he said in his Nerdist interview, then that is exactly what we will get. Rebirth in many ways is going to challenge what we already accept as the definitive DC Universe, and in many ways, it already has. God, I hope that's not true about Superboy-Prime. He was a whiny little idiot. SPOILER: It was NOT Super-whiney. It looks like they did it so Lois I could take Lois II's place and now Clark I will take Clark II's place.